There are athletes, and then there are athletes. 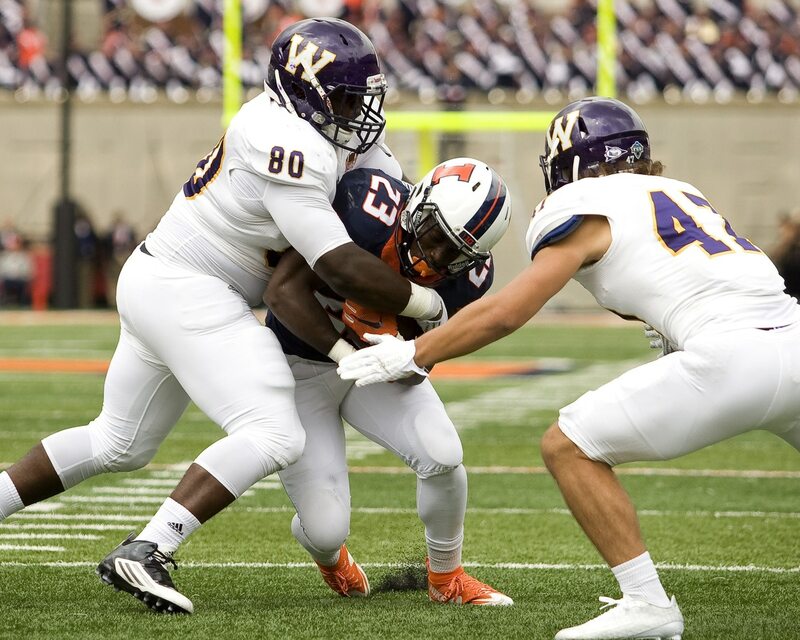 NFL Draft prospect Khalen Saunders out of Western Illinois University is firmly slotted into the second category, as you’re about to see. After practice Tuesday for the Senior Bowl in Mobile, Ala., Saunders showed off his insane backflipping skills. It was one thing to see a guy like Jason Pierre-Paul pulling off gymnastics, but to see such a massive human being doing this is astonishing. Saunders had reason to be happy, too. On Tuesday as he was showing NFL coaches and scouts what he can do, his fiancee was giving birth to their daughter. I AM A FATHER!!!!!!!!!! Thank you God for your continued blessings. I love you so much Kambridge Vonyea Saunders. Daddy’s coming home real soon. Congratulations to Saunders and his entire family.